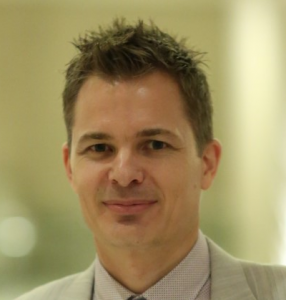 Johan Hedin is the CEO and Founder of Marketing Ignite Co. Ltd., a leader in the field of digital marketing. Since 1999, his company has helped companies like Thai Airways, Herbalife, Mercedes, Volvo and hundreds of SMEs to increase their revenue using smart- and ROI-driven digital marketing strategies. He is a passionate digital marketing entrepreneur, with a big dedication to helping his clients succeed online by using SEO, Adwords, social media advertising, web copywriting, explainer videos, and conversion optimization strategies. Johan’s company has also developed an intelligent lead-tracking, marketing and sales automation platform called Lead-IQ, which helps clients get a better ROI on their marketing investments. He took his first digital marketing course back in 1998, when he studied at Hawaii Pacific University, which is also where he completed his BBA and MBA in marketing. He immediately gained a passion for the subject and saw the imminent need and potential growth opportunity for companies to reach a global market quickly and efficiently, using digital marketing channels. While still in school, he started making websites in his living room, and practicing SEO with the big players, who at that time were Altavista, Webcrawler, Excite, Ask Jeeves etc. Having gained important experience from the biggest affiliate marketing company globally (at the time), ValueClick/Commission Junction in Santa Barbara, California, and having managed online marketing programs for companies such as Ebay, he decided to go full time with his business. This was the start of Marketing Ignite Co. Ltd, which he later decided to expand to Bangkok, Thailand (2004), and Sweden (2018). With clients in United States, Europe and South East Asia, Marketing Ignite Co. Ltd. has been able to give solid digital marketing advice, and drive measurable results for their clients. Johan has also developed training courses for anyone wanting to learn about SEO. Our main priority has always been to provide high-quality and long-term, trustworthy relationships with our clients, because we focus on delivering a high ROI, which can be backed up with many proven successful case studies. We treat our clients’ businesses as we do our own because we firmly believe that success can only be achieved through a long-term, mutually-sustainable relationship. We actually turn down quite a few clients, if we see that only limited success can be achieved. Marketing Ignite understands the client’s needs, providing quick, reliable and successful results, which is essential to any of our web projects. Therefore, our approach is to focus more on providing solid and transparent services for a few select companies, compared to a mass-marketing approach, where quality is usually compromised for the sake of mass volume with less-desirable results. We focus on high quality results, compared to cheap solutions that do not generate long-term success. Over the years, the digital marketing industry has seen tremendous growth, which also leads to more competition in every niche. Thus, in order to stay ahead of the competition, it’s important to launch big and aggressive online marketing campaigns, while at the same time employing smarter marketing compared to your competition. Everything that we do at Marketing Ignite is custom-tailored; we do not use automated software to cut any corners. We have used many software programs in the past; the manual process takes a longer time, but the results are much better.